"Under Section 38 of the Specific Relief Act, an injunction restraining the defendant from disturbing possession may not be granted in favour of the plaintiff unless he proves that he was in actual possession of the suit property on the date of filing of the suit." The Supreme Court has observed that in a suit filed under Section 38 of the Specific Relief Act, permanent injunction can be granted only to a person who is in actual possession of the property on the date of suit. In this case, the trial court had dismissed the suit filed by a tenant seeking permanent injunction against the landlord, on the ground that the tenant-plaintiff did not produce any relevant documents showing that he has been carrying on the business from the suit premises. The first appellate court reversed these findings and the High court affirmed the same. The Apex court bench, on the appeal filed by the defendants, agreed with trial court view that plaintiff has failed to prove that he was in actual possession of the property on the date of the suit. The court said that, under Section 38 of the Specific Relief Act, an injunction restraining the defendant from disturbing possession may not be granted in favour of the plaintiff unless he proves that he was in actual possession of the suit property on the date of filing of the suit. 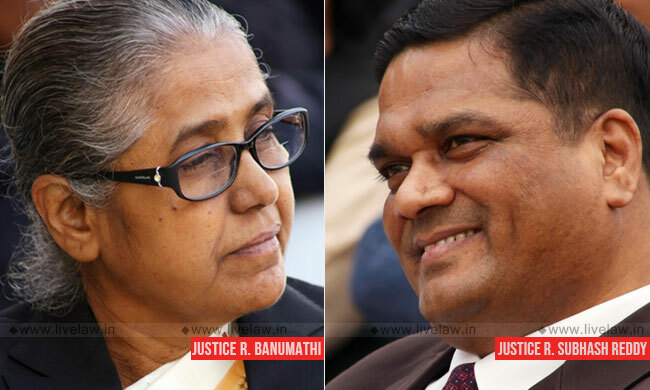 The bench comprising Justice R. Banumathi and Justice R. Subhash Reddy said: "In a suit filed under Section 38 of the Specific Relief Act, possession on the date of suit is a must for grant of permanent injunction. When the first respondent-plaintiff has failed to prove that he was in actual possession of the property on the date of the suit, he is not entitled for the decree for permanent injunction." The bench also observed that the First Appellate Court did not take note that the plaintiff had not shown that he has paid any rent after 1991. The court added: "Without paying rent, he cannot have any legitimate right to be in possession of the suit premises. The party seeking injunction based on the averment that he is in possession of the property and seeking assistance of the Court while praying for permanent injunction restraining other party who is alleged to be disturbing the possession of the plaintiff, must show his lawful possession of the property. Having not paid rent for more than fifteen years, it cannot be said that possession of the first respondent-plaintiff can be said to lawful possession entitling him to grant of permanent injunction."